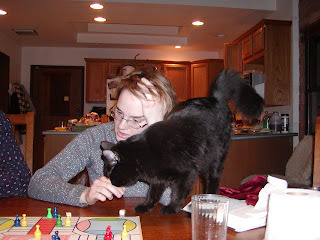 Kristie is home for the holidays and we played Parcheesi, her favorite game last night. It got really intense, when I created a blockade and decided not to move it unless I got doubles. The others got wrapped up in sending each other home and then decided to go after me, when I finally could not keep the blockade going any longer. 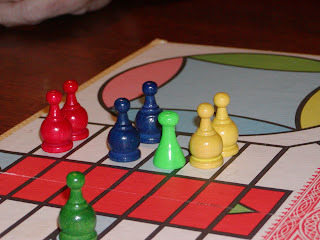 Marc won and said it was the longest Parcheesi game that he had ever played.